Welcome to 360° Wellness! Our practice was founded in 2015 on the philosophy that care should be as unique as you are. 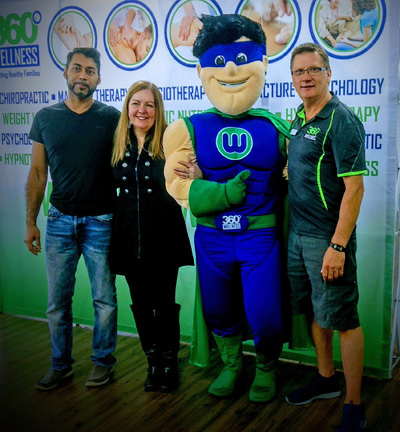 360 Wellness is a dynamic multidisciplinary health and wellness provider offering Chiropractor, Physiotherapy, Massage Therapy, Psychology, Acupuncture, Naturoprathy and Ideal Protein Weight Loss Coaching. Our mission is to assist our clients in achieving their health and wellness goals by providing outstanding patient care, education, compassion and uncompromising integrity. We are committed to building long term relationships with not only our patients but also the communities we serve in. At 360° Wellness, you’ll receive access to top specialists under one roof and just as our name suggests, your natural wellness care will come full circle and present many paths for healing. We believe that care should always be unique to each patient, and we’ll work with you to develop a care plan for your specific needs. We also encourage patients to take an active role in their health–this means asking us any and all questions you may have. 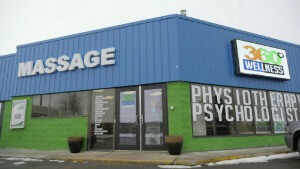 We want to help you understand what your body is going through and how you can experience the best results possible. We understand that no two patients are alike–the same goes for your care plan.